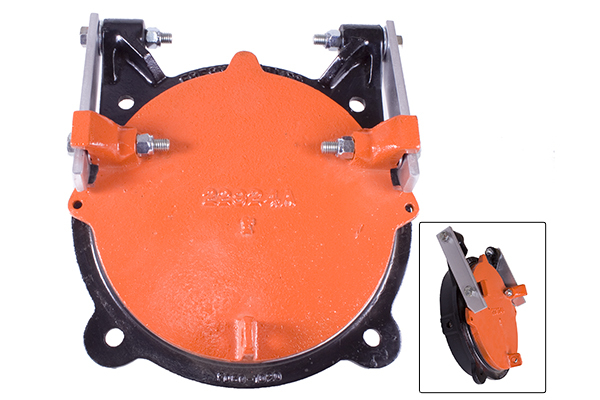 The Series 3800 Type R Flap Valves are designed for use on pump discharges to prevent the backflow or intrusion of water into the pipe. Self-aligning resilient seat cover design provides reliable performance. 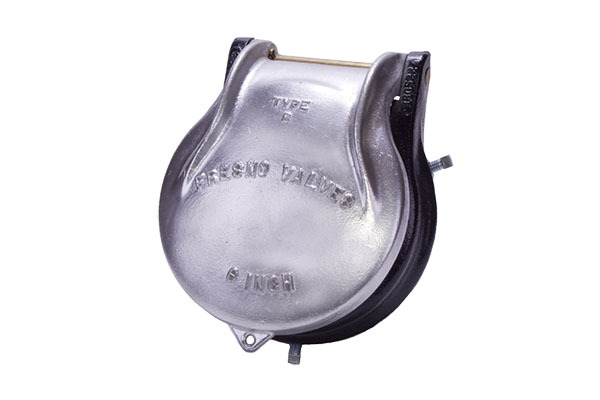 Flow responsive cast aluminum cover is standard. Brass hinge pin provides corrosion resistance and smooth operation. Slip-on mounting with O-ring seal provides easy installation. Has a heavy-duty cast iron seat. The Series 6000 Flap Gate Valves allow outflow of water from a pipe or structure to a body of water, but prevents backflow. The Series 6000 is used in systems where seating heads are ten feet or less. Economical backflow prevention perfect for low head applications. Double pivot hinge action provides positive sealing. Rugged cast iron seat and cover. Versatile for mounting to headwalls or corrugated pipe. Balanced design ensures maximum responsiveness. Precision machined and ground seating surfaces. The Series 6200 Heavy Duty Flap Gate is designed to permit the outflow of water from a pipe or a structure to a body of water while preventing backflow of the same. It is frequently used in reservoirs, tidal basins, ponding basins, pump stands and storm drain systems where seating heads are less than 50 feet. Fully adjustable top pivot points. Dovetailed bronze or rubber seating faces. 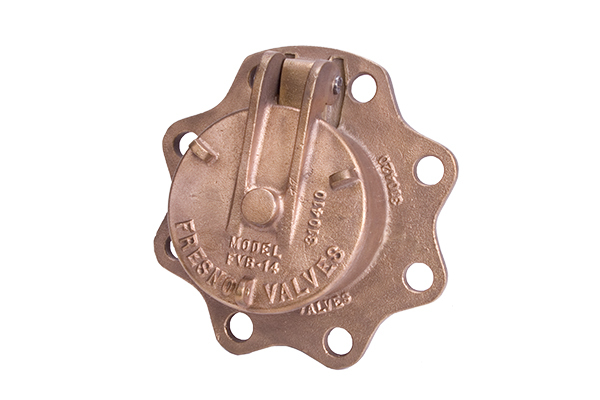 The wall mount pressure relief valve is a small flap valve that allows pressure to be relieved while preventing backflow. Mounts on side walls of tanks & digesters. 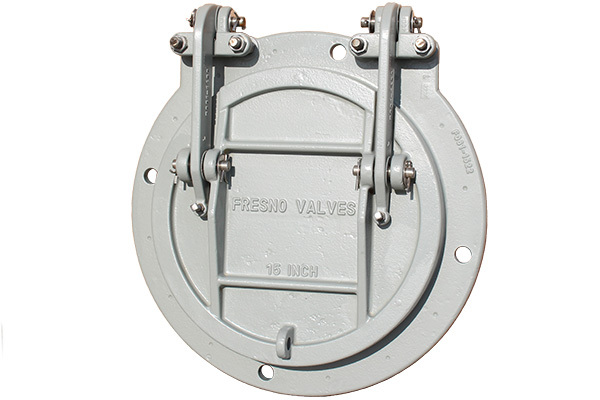 Provided with 4" flanged end for connection to standard ANSI 125# flange. Neoprene seat for cushion effect.